Bed shown may not indicate actual size. 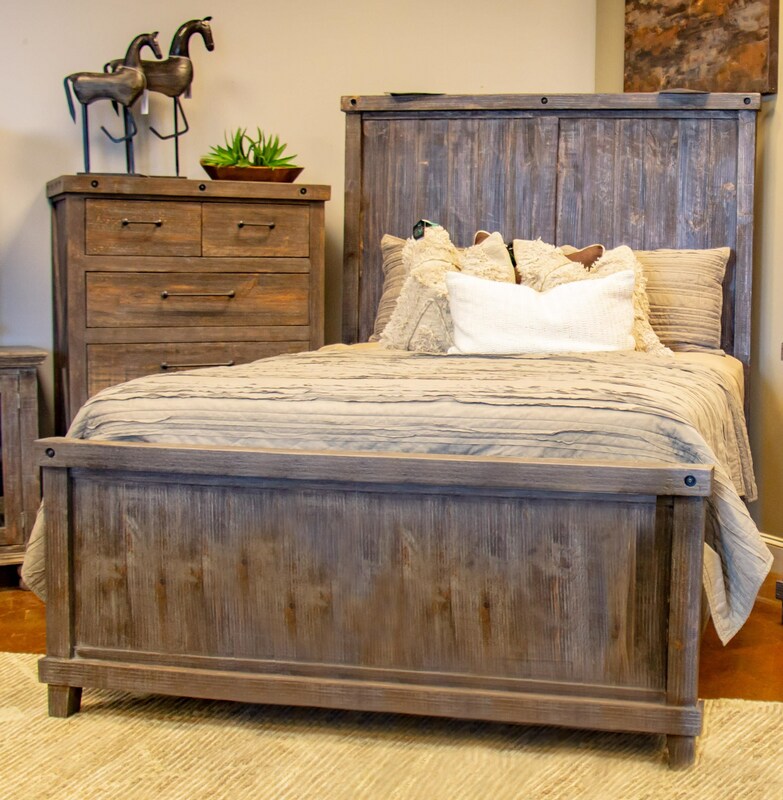 Wearing a very rustic, natural barnwood finish, this handsome bed will refresh your master suite ensemble with a touch of country charm. The Industrial Bed features metal studs, vertical slat overlays that create a high-low effect, while framed ends form a clean silhouette. The Industrial King Panel Bed by Vintage at Great American Home Store in the Memphis, TN, Southaven, MS area. Product availability may vary. Contact us for the most current availability on this product.